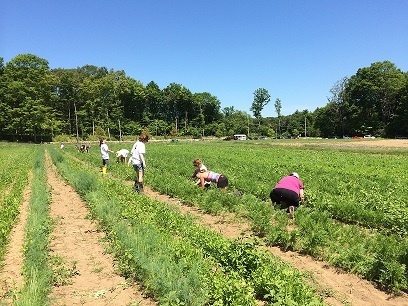 Earlier this week 25 Jones & Bartlett Learning and Ascend Learning employees gathered on a 31 acre farm in Lincoln, MA to volunteer their time for The Food Project, an organization dedicated to creating a sustainable food system through community involvement and education. JB Learning Cares, the employee led charity committee of Jones & Bartlett Learning, organized the day with The Food Project to offer employees the opportunity to come together and support the local community. 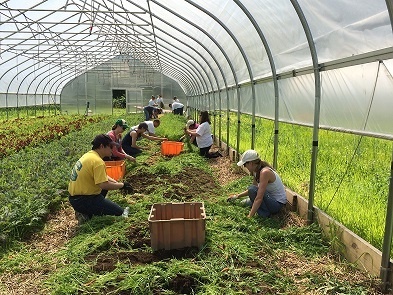 The generous volunteers learned about The Food Project's mission, to "create personal and social change through sustainable agriculture", and experienced firsthand the hard work that is put into sustainable farming. 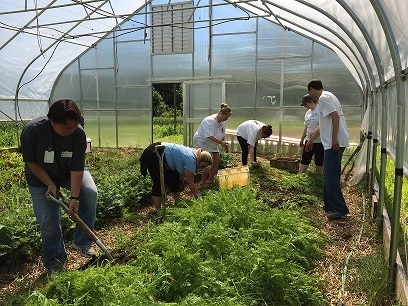 Half of the volunteers started the morning harvesting carrots in one of the farm's new hoop houses. Working as a team, a couple of folks served as the looseners, using a pitchfork to loosen the soil around the rows of carrots, while others followed to pull the carrots out of the soil. Still, others were needed to sort the carrots and remove the tops and greens. The other half harvested garlic scapes. The employees learned the importance of teamwork and finished with over 300 lbs of fresh produce! The volunteers saved 600 lbs. of carrots! The remainder of the morning was dedicated to saving recently planted carrots from overwhelming weeds. 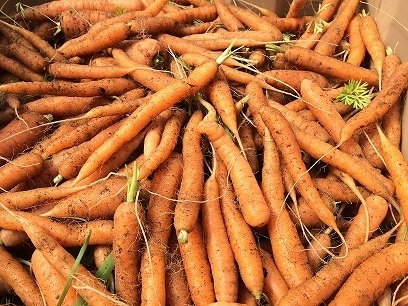 The result: about 600 lbs of carrots were saved and will continue to grow to full maturity for harvest! The Food Project grows and distributes over 250,000 lbs. of produce annually. Produce grown on the four farms can be found at farmer's markets in Boston, Lynn, and Beverly, MA. The Food Project also distributes produce through their community supported agriculture (CSA) programs. In addition to selling their homegrown vegetables at markets and through CSA, they donate 25% of their harvest each season to local hunger relief organizations. 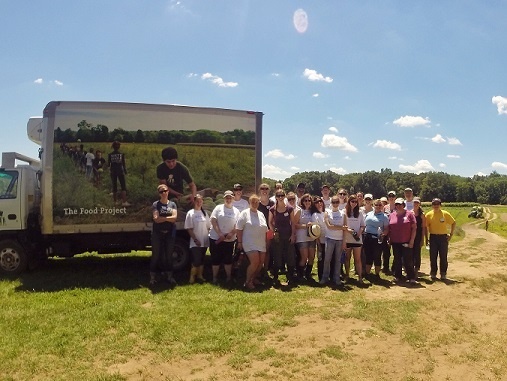 Twenty-five employees volunteered their time and sweat to support The Food Project! Our mission is to grow a thoughtful and productive community of youth and adults from diverse backgrounds who work together to build a sustainable food system. We produce healthy food for residents of the city and suburbs and provide youth leadership opportunities. Most importantly, we strive to inspire and support others to create change in their own communities.